The party is over. 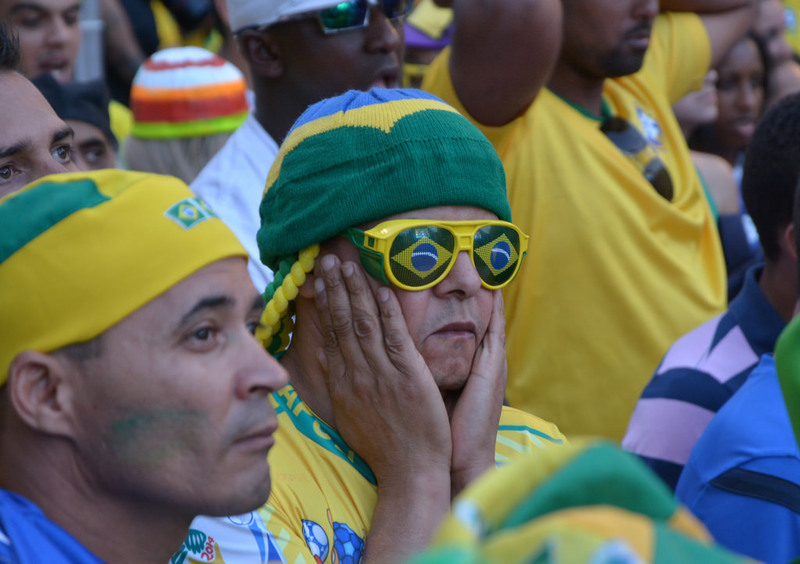 But what a great world cup it was – it had it all: drama, goals, moments of madness. Brazil put on a wonderful show. We’ve only just had time to catch our breath and think about what we saw. But now that the dust has started to settle, here are six lessons we learned, and what they teach us (or remind us) about playing 5-a-side. Goalkeepers nearly stole the show in Brazil, providing some of the most memorable moments; demonstrating once again that they are the rock good teams are built on. It has been a treat seeing so many top goalkeepers ply their trade at this world cup, and we’ve seen shot-stopping excellence from a number of keepers. From Costa Rica’s Navas, to Belgium’s Courtois, to the brilliant Mexican Meme Ochoa, goalkeepers proved just how key they are. ManuelNeuer, goalkeeper for eventual champions Germany, cemented his reputation as the best goalkeeper in the world with every game that passed. It was not just for his excellent work with his gloves, but the way he plays the sweeper-keeper role to perfection, giving him the edge over everyone else. His masterclass in the round of 16 against Algeria saw him touch the ball an incredible 19 times outside his penalty area to deal with threats! 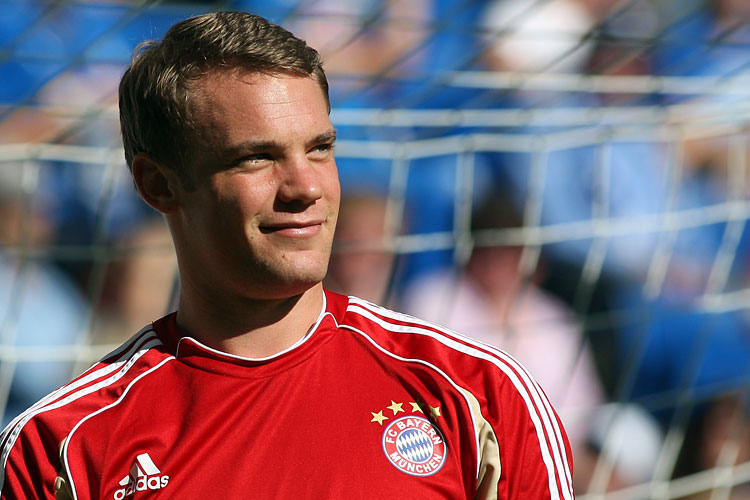 Manuel Neuer – best goalkeeper in the world at the moment? Tim Howard caught the eye for the USA in an amazing game vs Belgium in the round of 16. The USA ended up losing in what was arguably the game of the tournament, but they did so with great credit – in large part due to the heroics of the man who came to be known as ‘Captain America’. Howard was unbelievable, making save after save to make his goal absolutely impenetrable for 93 minutes. In the end, when we all caught our breath, Howard had pulled of an amazing 15 saves – a new world cup record. For the first time in the history of the world cup, a goalkeeper was specifically substituted into a game solely for the penalty shoot-out. Tim Krul, who up until that point had not played any part for the Netherlands, came in and then saved two of Costa Rica’s five penalties to take Holland through into the semi-finals. Arguably nobody had a higher impact-per-minutes-played than the 6’4 stopper. There were also a couple of shockers (here’s looking at you Igor Akinfeev for a dismal spill into your own net against South Korea) but on the whole it has been a brilliant advert for the men between the sticks. 5-a-side lesson: The goalkeeper is the foundation of your team and arguably the most important player on the team, so make sure you get a good one. If you play futsal, or other rules that allow your keeper the freedom to come outside of his area, then Neuer should be your blueprint at coming out to snuff out threats. We’ve said it before and we’ll say it again: organisation, effort, discipline and teamwork will beat raw talent every single time. There were some magnificent demonstrations of this in Brazil but, for us, the best example is Costa Rica. In getting out of a tough group and reaching the quarter finals, Colombian coach Jorge Luis Pinto showed everybody what was possible when a group of players buy into a philosophy, execute the tactical plan and are prepared to work hard for each other. Individually, most people would rate the Costa Rican players as being fairly average, but together they pulled off something special. 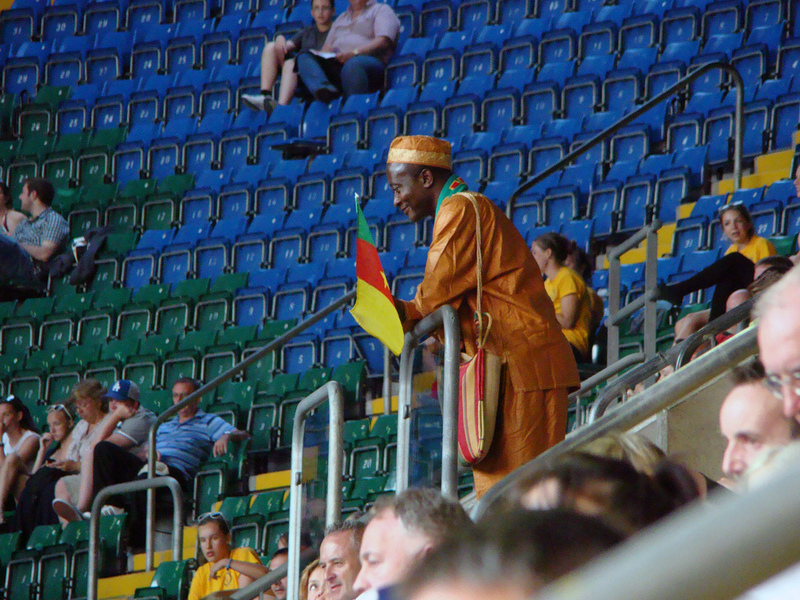 On the flip side was Cameroon. Whilst Costa Rica were showing us all how to execute the perfect tournament plan, the Indomitable Lions were serving to do the exact opposite, pulling off a spectacular shambles. It first became apparent that all was not well for Cameroon when a row over bonuses erupted before the world cup. It resulted in players threatening not to board the plane to Brazil and, with hindsight, many of them might now wish they stayed at home. There was no cohesiveness and the football they played was really poor, with Alex Song getting stupidly sent-off and then Benoit Assou-Ekotto even attempting to head but his own teammate at one stage! Individually, Cameroon’s players were as talented as Costa Rica’s; collectively they weren’t in the same league. 5-a-side lesson: Teams where all players understand their role and are prepared to work hard for the team are the most difficult to play against. Arguably it is even more important that you all work together in 5-a-side than it is in 11-a-side. In 11-a-side you can sometimes carry a weak link, but in 5-a-side you will quickly get destroyed. The tiki-taka style of play expounded by Barcelona and Spain over recent years has seduced lots of us into the belief that possession football is what you have to play if you want to win. Whilst possession has an important role to play, this world cup reminded us that it is not the be all and end all. There are other ways to win. Take Spain themselves, they dominated possession and passing against the Netherlands having 57% possession and accumulating 566 passes vs Netherlands’ 318 passes but got beaten 5-1. Against Chile, again they dominated with 56% possession and 579 passes versus the 332 of their opponents; this time they lost 2-0. Ok, there is a bit of luck involved and things could have turned out differently, but certainly their possession-passing game did not come through for them this time. Netherlands, on the other hand only had 36% of the possession in their game against Chile, but came out 2-0 winners. 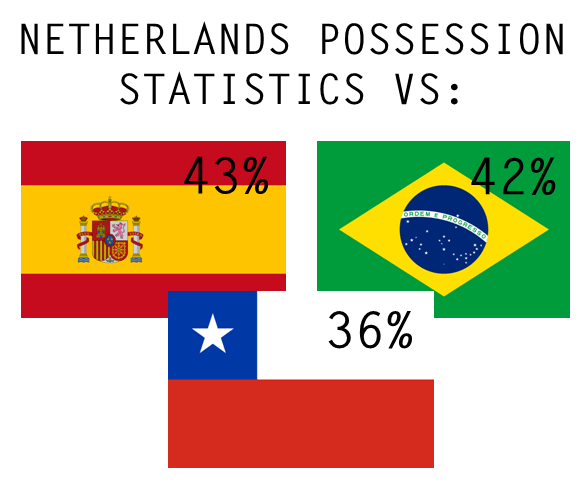 In fact, against Spain, Chile and Brazil, Netherlands were comfortably trailing in terms of possession statistics but won all of these games. In their three wins against the ‘big’ teams (Spain, Chile and Brazil), the Netherlands had less possession than their opponents. 5-a-side lesson: It just goes to show, it’s not how much you have the ball that counts; it’s what you do with it. Make sure that your possession has a purpose and that your passing is productive. Football, like life in general, is filled with some truly ridiculous behavior at times. This year the ridiculousness was delivered to us in quite a number of forms, not least the way the players furnished us with some comedy haircuts. From Neymar’s ‘chimney-sweep-front-comb’ to the ‘blonde caterpillars’ on display from Bacary Sagna, we were treated to some fine hairdressing displays. However, Rodrigo Palacio’s off-centre rat-tail had all of us questioning what the world was coming to with the Daily Mail asking ‘is this the worst hair cut in World Cup history?’ The answer was, of course, yes. Surreal and wonderful as it was, not even Palacio’s hair could steal the show. Not wanting to be outdone by anyone or anything, Luis Suaraz inexplicably confused Giorgio Chiellini for a subway sandwich, taking a nice big bite out of the ‘hearty Italian’. As if this sort of nursery-school antic wasn’t ridiculous enough, the fun continued over the nextcouple of days with the Uruguayans attempting to trump each other with increasingly daft statements on the matter. From the captain Diego Lugano giving a press conference in which he wowed us an oscar-winning “what incident?” statement, to Suarez later admitting that there may have been a coming together and fancifully trying to convince us that “I lost my balance and fell on Chiellini”, the excuses were wonderful entertainment. The press of course got themselves wrapped up in feigned outrage declaring how disgraceful it was and that nobody wanted to see incidents like that, before publishing almost entire newspapers filled with pictures and comment from every possible angle. In the end, it became a tornado of complete and utter buffoonery, leaving us wondering if this really did happen or not. Even now, I have to tell myself it wasn’t a dream. 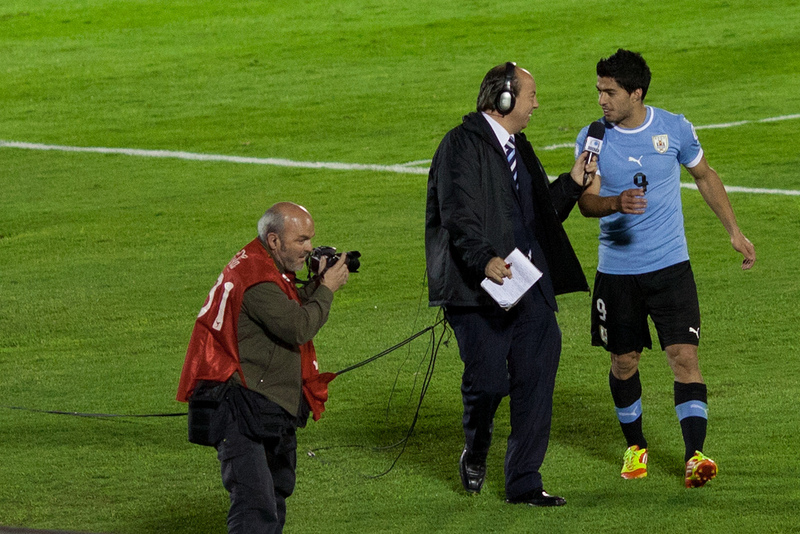 Thankfully, all ended well and the disgraced Uruguayan earned himself a bumper transfer to Barcelona…. No, wait that doesn’t sound right. Anyway, with three biting incidents in his career already, dentists in the Catalan city will be rubbing their hands with glee at the prospect of his move. 5-a-side lesson: Always eat enough before you play a game, to avoid any impromptu snacking on the shoulders of opponents. No European team has ever won the world cup on the American continent, they said. Well, they won’t be trotting out that fact again. The game of football continues to grow in popularity and spread to nations where it was once seen as an exotic irrelevance. Football, in its many forms, is the global game with the last great territory now seemingly converted – that’s right the USA has caught soccer fever! We’ve even seen it on this blog, with a recent increase in traffic coming from the US. You Americans love it! 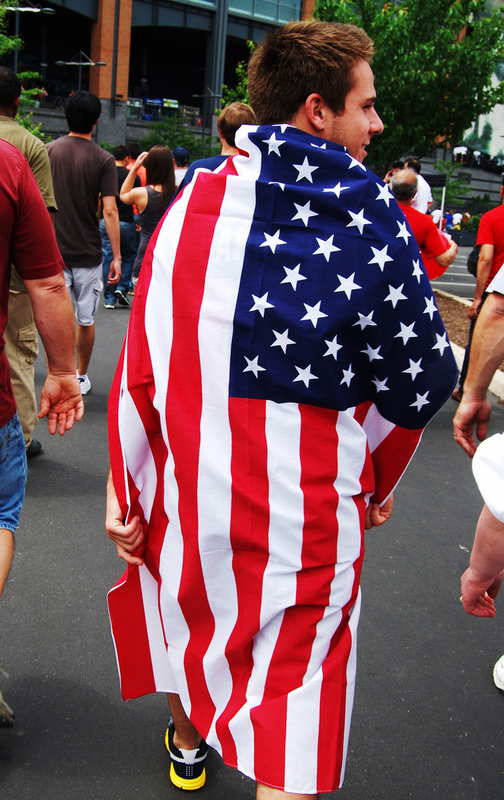 This was the world cup where the US public finally got on board the soccer train! Some regions, however did better than others at this world cup. CONCAF (that of Costa Rica , USA and Mexico success) went away with a very good report-card. Africa and Asia did not fare so well and seemed almost to go backwards compared to past performances. 5-a-side lesson: The 5-a-side game, including Futsal, continues to grow globally along with the 11-a-side game. As the global 5-a-side network grows, there will be opportunities to learn from other countries and coaches, which can only be a good thing. 6. The toe-poke is alive and well! With Spain and Brazil, the world’s top two futsal playing nations both heavy favorites going in to the tournament, the media was full of articles on how futsal is the secret to the success of those nations. Futsal lovers (which includes us, of course) were keenly spotting any futsal related techniques in the games. When Oscar scored Brazil’s third goal of the opening game with a futsal style toe-poke (the kind that some of us were told as kids never to do), the futsal spotters hit nearly orgasmic heights. Whilst some realism needs to be had on the role that futsal can have in player development – we think it can be a useful tool, but it’s not the only way to make great players – it is clear that many of the techniques transfer across to futsal. 5-a-side lesson: The tight spaces and technical nature of small-sided football force players to be inventive; the toe-poke is a good example of this. Used correctly, it can be a handy technique. As it requires minimal back lift, it can catch goalkeepers by surprise (just as Oscar’s did) and can give you a good chance of scoring in certain tricky situations. Try it.